I have written many articles regarding the topic of type 2 diabetes and how it has become a global pandemic. I have also commented on the treatment, avoidance, and prevention of this very common disease which is sweeping across the U.S.
Now, there is a proposed effort for physicians to deal with patients who need treatments for diabetes. The “lending a hand” intervention designed to illustrate the factors associated with diabetes and mortality are now being stressed instead of just dealing with high blood sugar. The open hand image shows the five fingers each representing one of the five most important aspects of diabetes management in descending order of importance. Those factors are: avoidance of smoking, blood pressure control, treatment with metformin, reduction in blood fats, and blood sugar control. This treatment guideline focuses on some of the most important risk factors associated with an increase in mortality, diabetic complications and decreased quality of life. If you have a patient who needs treatment for type 2 diabetes but smokes, what is the point in treating the high blood pressure, high cholesterol, and high blood sugar? There isn’t any point whatsoever! If you want to reduce the risk of developing serious complications caused from type 2 diabetes, it is extremely important to treat and control the symptoms attributed to the cause of diabetes. High blood pressure, high cholesterol, and elevated blood sugar are all symptoms of insulin resistance. This is the ultimate cause of type 2 diabetes and these individual symptoms are typical of pre-diabetes or metabolic syndrome. Insulin resistance can definitely be improved with the drug “Metformin.” However, lifestyle interventions have previously been shown to be just as effective and without the associated side effects. Metformin may be helpful to decrease high levels of inflammation which occur in either pre-diabetes or type 2 diabetes. The best way to control increasing blood sugar is the combined use of Metformin with lifestyle interventions designed to reduce body fat, waist circumference, and lower insulin requirements. Although drugs are helpful at the beginning, most patients are able to be successfully weaned off of these drugs once the lifestyle interventions begin to work. For people who cannot change their lifestyle or refuse to do so, they will need to use multiple drugs—unfortunately, these drugs can cause more unfortunate side effects, such as heart attacks, strokes, blindness, and peripheral vascular disease. When the patient loses excessive amounts of body fat, improves their diet, and exercises regularly, their blood pressure, cholesterol, and blood sugar will certainly improve as will their level of insulin sensitivity. If it is not too late and the pancreatic beta cells have not been too badly damaged, type 2 diabetes can be reversed. Statistics provided by the National Diabetes Information Clearinghouse indicates that approximately 26 million people are currently living in the U.S. with type 2 diabetes. Of those living with the disease, perhaps seven million may not even be aware that they have it. “Our aim in proposing ‘lending a hand’ is to communicate the most beneficial interventions patients can make to reduce their symptoms and risk of death from diabetes complications. But this model requires a shift in thinking away from the outdated idea that glucose reduction is most important, which may be a challenge,” said the study’s authors. In my opinion, this is a better model of care regarding the treatment of type 2 diabetes but there also has to be a concerted effort to encourage patients to address the reasons why they developed this disease to begin with. Although this task is much more difficult and time consuming, it makes better sense and is less harmful. 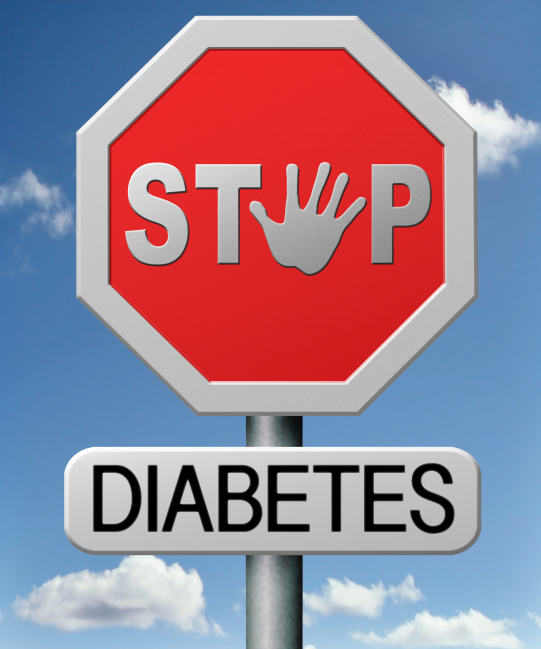 “Shift away from glycemic control in diabetes treatment detailed,” ScienceDaily web site; http://www.sciencedaily.com/releases/2014/02/140220112406.htm, last accessed Feb.24, 2014. Erlich, D.R., et al., “‘Lending a Hand’ to Patients with Type 2 Diabetes: A Simple Way to Communicate Treatment Goals,” American Family Physician, February 15, 2014; 89: 4.